After a travel-filled winter and spring, we are staying closer to home this summer. That means closer to the garden and all its vegetable goodness. Our kale was looking luscious today so I went out and cut some and then searched through my recipe collection for a new way to prepare it. I had saved a New York Times recipe on Pinterest for Coconut Kale that captured my imagination. It was from a famous Indian chef who works out of Vancouver. It seemed quite easy — bonus! — and I had all the ingredients — the main one being coconut milk — so it was a go. The recipe called for only oil, garlic, scallions, parsley and wine or stock plus some heat. And it seemed quite forgiving. You blitz everything together in a blender and then pour over the shrimp. Fifteen minutes later you are ready to enjoy. The kale was a bit more fiddly. Soaking the kale in coconut milk for the afternoon was a breeze. But then you need to grill each piece for a few seconds. You have to work quickly so they don’t burn. I let Bob do that so I could take some pics. Not at all hard though, and oh-so-worth it. The flavour was amazing and the texture was tender. 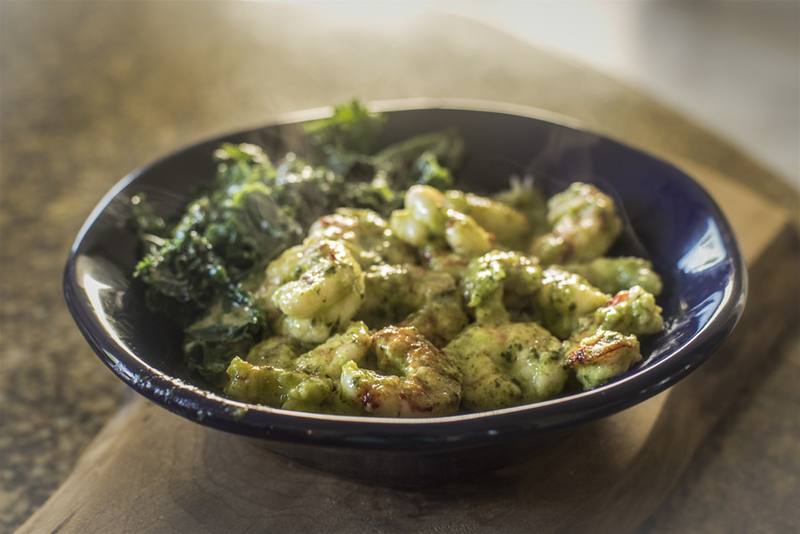 The kale proved a perfect complement to the shrimp, which also had an intense but fresh flavour. With some basmati rice to soak up the sauce, it was a great light summer meal. Here are the links to the recipes should they appeal to you as well. 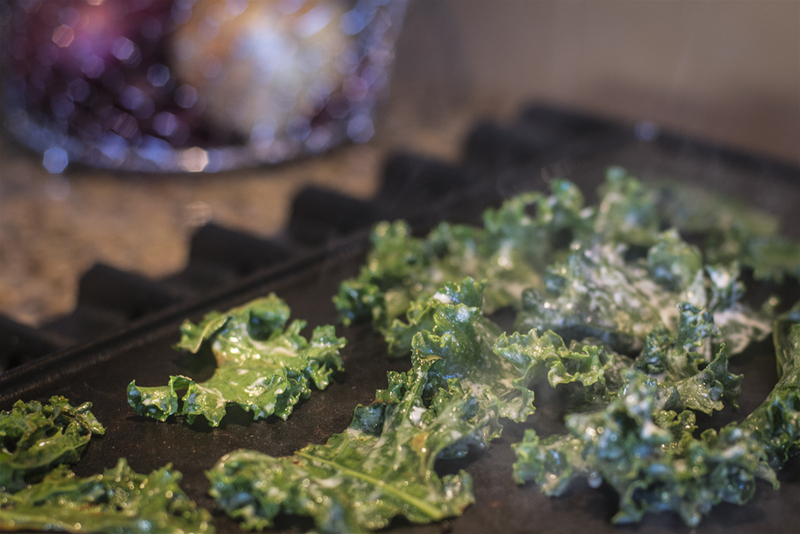 By the way, do you have any favourite ways to cook kale — I’m always on the lookout. 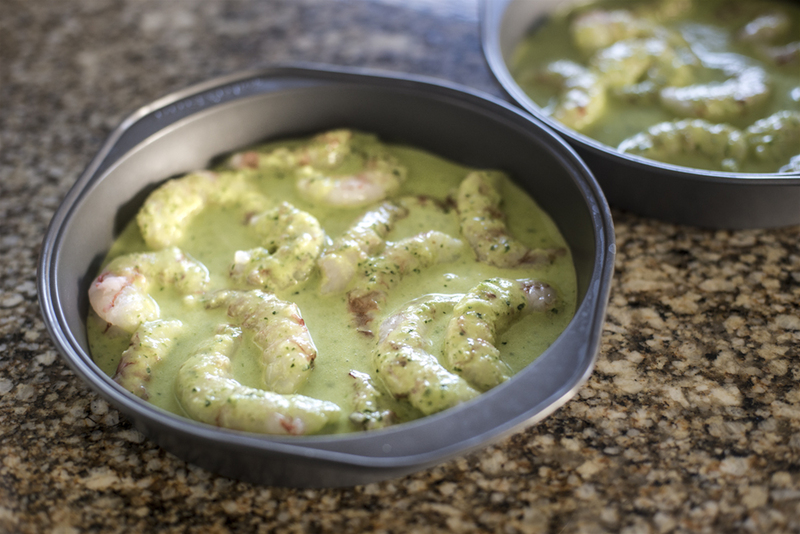 What a perfect summertime meal, Sherry! Love the recipe. I can have less kale and some spinach. The shrimp sound awesome also. Both sound wonderful, I will definitely be trying these. Thanks for sharing, Sherry! Vikram would never steer you wrong! Glad you tried his coconut kale recipe. He’s got some cookbooks out you should check into. I’m definitely going to try the green shrimp.